In 15 years, Victor Quijada and RUBBERBAND have not only redefined breakdance codes within an institutional context and enlivened the Quebec dance scene, but have opened the way for new creators fascinated by this dance form. Armed with a technique he conceived for dancers, the RUBBERBAND Method – an electrifying vocabulary combining the energy of Hip Hop, the refinement of classical ballet, and the angular quality of contemporary dance – and some 40 creations and collaborations in Canada and abroad behind him, Victor Quijada has always continued to evolve and innovate throughout his prolific career. Born and raised in Los Angeles, the child of Mexican parents, Victor first danced in the b-boying circles and hip-hop clubs of his native city. He trained with Rudy Perez from 1994 to 1996, then moved to New York City to join THARP! After spending three years with that company and following a stint with Ballets Tech, in 1999, he came to Montreal to join Les Grands Ballets canadiens in 2000. In 2002, he founded RUBBERBAND, throwing himself into deconstructing the choreographic principles he had learned by blending them with the raw ideology of his street dance origins. His creations – numerous short works and 14 full-length productions – are distinguished by a powerful theatricality, the energy of improvisation, and certain codes of film language, the whole sculpted with an incomparable precision of movement. For several years now, Victor has taught the RUBBERBAND Method throughout the world in workshops and internships for many dance companies, dance schools, and universities, as well as on a yearly basis in RBDG’s workshop for professional dancers; at the Académie du Domaine Forget in Charlevoix every summer; and in his classes at the Glorya Kaufman School of Dance at the University of Southern California (USC). As guest choreographer, he has created new works for dance and circus companies; notably in return commissions for Hubbard Street Dance Chicago, Pacific Northwest Ballet, and Scottish Dance Theatre. Besides his stage productions, Victor has been involved in almost a dozen dance films, as director, choreographer, or dramaturge. His short film, Hasta La Próxima, was a finalist at the American Choreography Awards in 2004. He also choreographed the music videos Man I Used to Be by k-os, La garde by Alexandre Désilets, and Elton John’s Blue Wonderful. His Gravity of Center – The Movie won Best Experimental Short at the CFC Worldwide Short Film Festival of 2012, among other awards, and was shown at several exhibitions and national and international festivals. 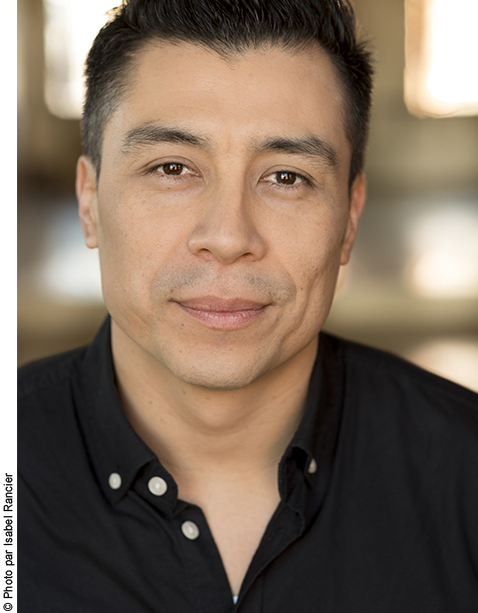 In the area of peer recognition, Victor Quijada was artist-in-residence at Usine C (2004) and at Place des Arts (2007-2011), and has won many awards, including Britain’s National Dance Award for Outstanding Modern Repertory (2003), the Bonnie Bird North American Award (2003, U.K.), the Peter Darrell Choreography Award (2003, U.K.), the International Touring Award of the Canadian Dance Alliance (2012), and two awards from the Princess Grace Foundation-USA (Choreography Fellowship, 2010; Work in Progress Residency, 2016). In December 2017, Victor Quijada received the award for cultural diversity at the Prix de la danse de Montréal. A lecture-demonstration designed for all types of audiences, the Breakdown familiarizes spectators with the work of RUBBERBANDance Group and its dancers. Victor Quijada guides the public through every phase of the choreographic creation process, illustrating each phase with a segment of a specific work that highlights the unique components of the company’s style and language. Seasoned dance fans are gratified and neophytes appreciate an illuminating initiation. RUBBERBANDance Group has several striking film works in its repertoire. The company offers screening sessions followed by a discussion, a chance for the public to become more familiar with Victor Quijada’s choreography and to explore the respective creative demands of stage and camera direction. In addition to a number of short films, screenings may include a selection of music clips and videos made for special projects. In accordance with spectators’ participation and feedback, the evening program is tailored to their interests, with or without the presence of the choreographer as host/mediator. The Post Hip Hop Project (PHHP) is special project that combines choreography workshops and public presentations specifically intended for young urban dance adepts. Under Victor Quijada’s mentorship, many aspiring creators have been able to put their ideas to the test and upgrade/refine their work. RUBBERBANDance Group is committed to boosting the emerging generation of creators by allowing them to present their work to the public. The PHHP provides participants with the time needed for the creation process, choreographic expertise, a lighting design residency, and the chance to present their works to an informed and generous audience.